The last time I visited Barcelona I cooked authentic Spanish paella at a local’s house. 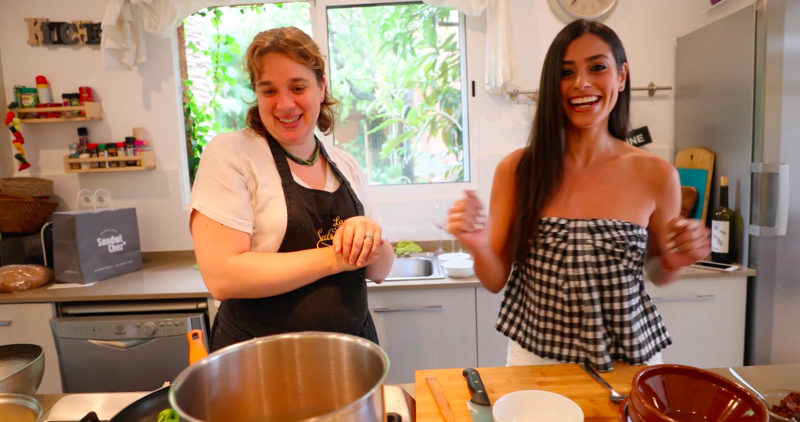 I knew I wanted to do something with food while I was there, and what better way than learning how to make one of the most traditional Spanish dishes. The program was called La Salsamenta, and you can book through their website or find them on Air B n’ B experiences for Barcelona. I learned a lot about Paella and it was such a fun and interactive experience. Watch the video below of the highlights, and a big thank you to La Salsamenta for having me! Watch me make red wine risotto with Executive Chef Andrea Campani from Osteria Del Borro, Tuscany. 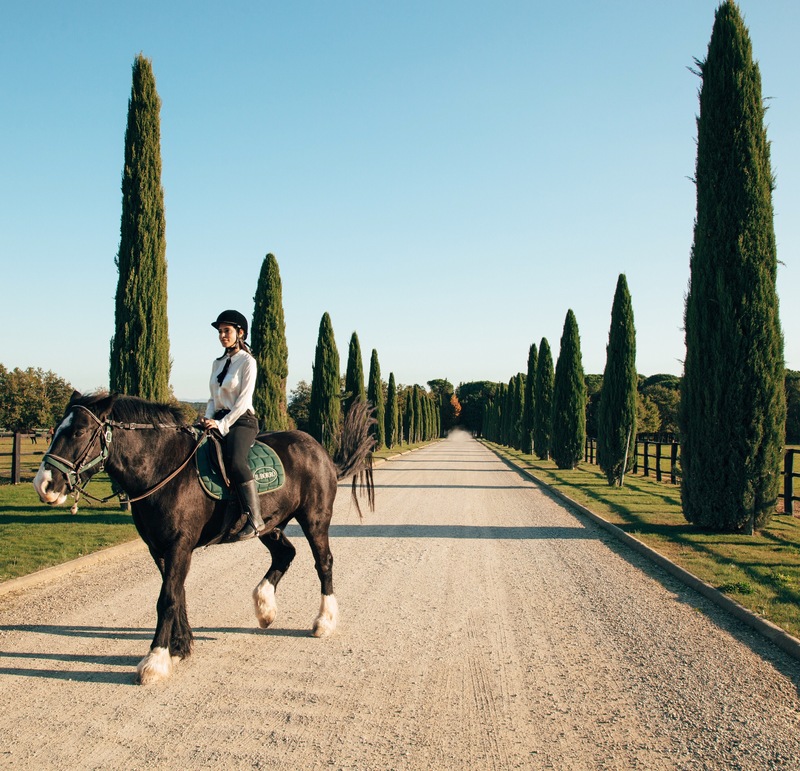 Stay tuned for a full video + blog post about my magical experience at Ferragamo’s Resort Il Borro…coming soon! Check out my cooking experience at the restaurant Buca Di Bacco in Positano, Italy where I got to interview Executive Chef Andrea Ruggiero and make my own Scialatielli ai frutti di mare (seafood pasta)! You know I love a good burger. I was invited to Hache LA in Silverlake to make my own burger in their kitchen! I did everything from grind the meat, make the patty, grill and garnish the burger. I even got to make my own fresh strawberry basil lemonade and homemade custards! I had so much fun. They use steak meat from a sirloin cut and you can see them grinding the steak meat as your order. At Hache LA, they make all their sauces from scratch as well as their custards and specialty drinks. You can taste the quality, and everything is delicious. 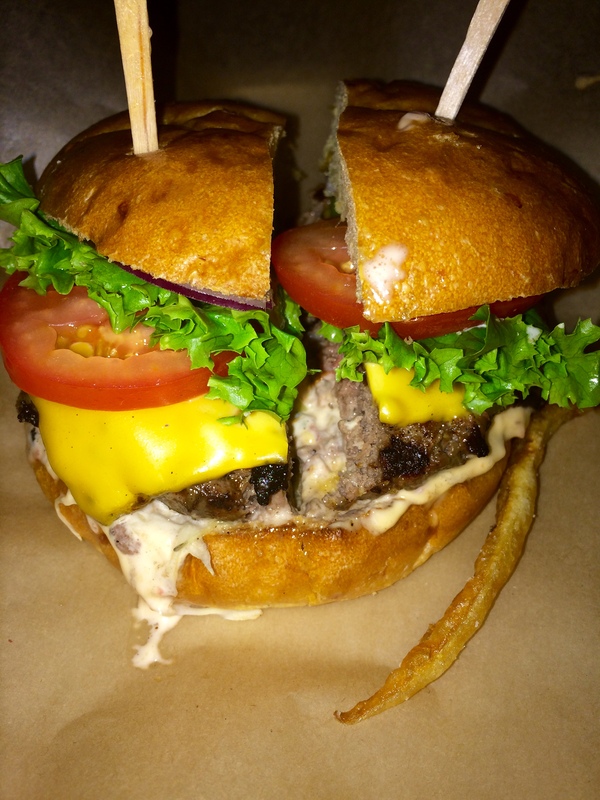 It is a great burger so for all you burger lovers out there, make a stop at Hache LA and tell me what you think! I personally recommend the “Karma Burger”. The special Karma sauce is addicting! Enjoy!! !